$ 3,650 - Victory #9466/L rectangular dining table with top in Stripes Grey marble and base in lacquered Anthracite Grey wood. Custom made in Italy in any stone and different colors for base. Shown with #0543/S Dining chairs in Emp. Allig. 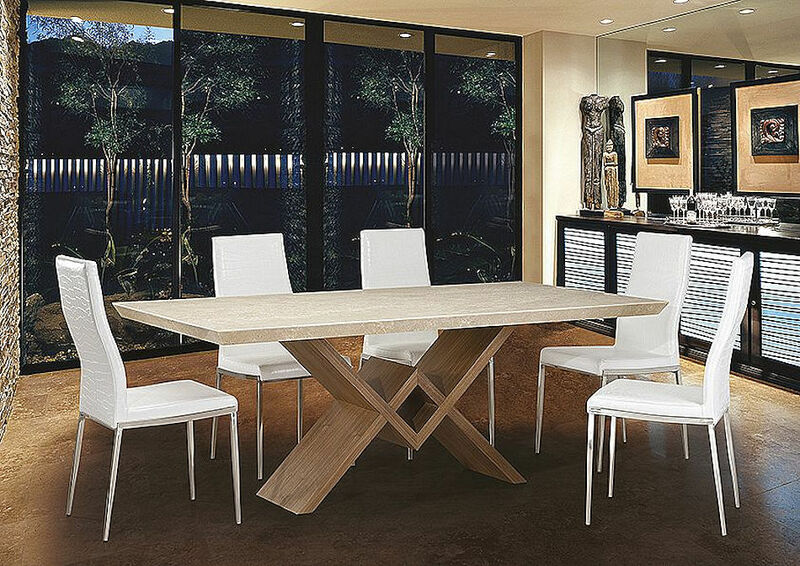 White leather and polished stainless steel legs | 18" x 23" x 37"H - $ 295 ea. 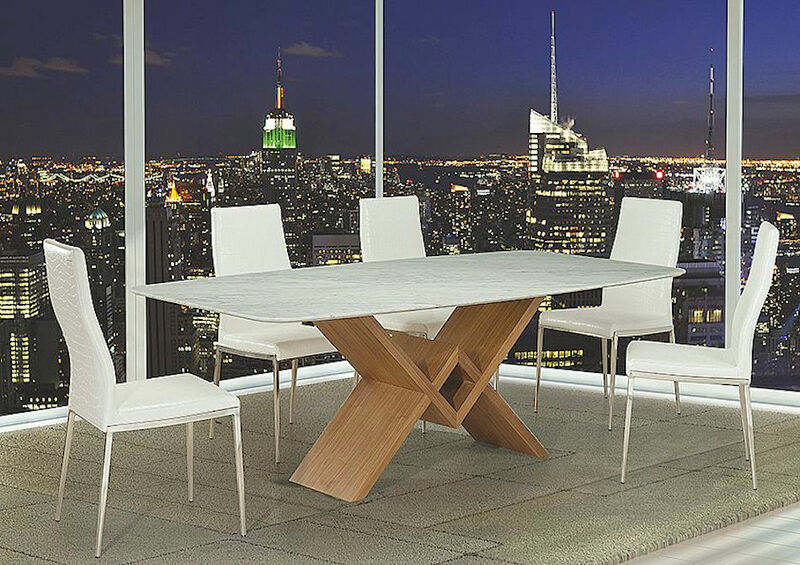 $ 3,550 - Victory #9466/O rectangular rounded dining table with top in White marble and base in Walnut Canaletto. Walnut Travertine top w/ reverse beveled edge and base in Walnut Canaletto. #0543/S Dining chairs in Emp. Allig. 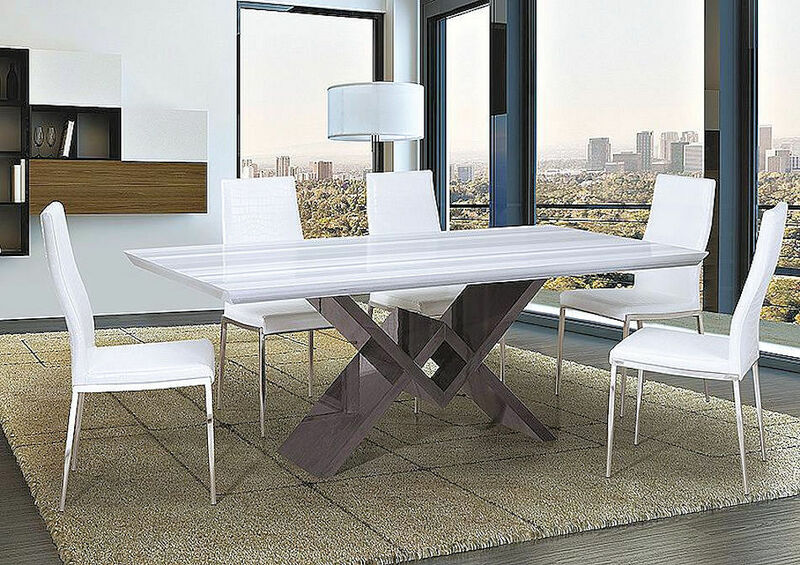 White leather and polished stainless steel legs | 18" x 23" x 37"H - $ 295 ea.